In 2015 and 2016 I worked with Shawn and Robert on two projects. The first was a reprinting of Winneboujou Chronicles 1890-1990, a black-and-white book originally self-published in the late 1980’s. The second was to publish an “addendum” to the original book. Winneboujou Chronicles 1990-2015 turned out to be over 300 pages, in color, with four times as many photos – twice the size and far more complex than the original. My sister-in-law, Tricia Knoll, advised me to work with Poetry Box after I asked her if she knew someone who could teach me how to use Adobe InDesign so I could do the books myself. My background was in Information Systems, I’d worked with Photoshop, and I figured I could publish and print the books with a little help. She wisely knew that publishing books was way beyond my range of skills. After working with Poetry Box over a year on these projects, I realized the decision to work with Shawn and Robert was one of the best I’ve ever made. Although I served as primary contact with Poetry Box, there were actually three contributors to the addendum. We worked independently, as we lived in three different parts of the country. Manuscripts were sent to me and I funneled them to Shawn. She was responsible for formatting, final copy editing and bringing cohesiveness to the book. Robert, an artist himself, created the two book covers using photos of family artwork. Shawn and I met several times to confer about the books but most of the work was done virtually. This worked extremely well; Shawn was a joy to work with. As a newbie to the publishing scene, I depended on her good advice. She was always there when I needed her and was flexible when we had trouble meeting some of our deadlines. We went through a couple proofing cycles with the reprint and at least three proofing cycles of the second book, all under Shawn’s wise control. The quality of the published books was excellent. Shawn handled the few issues we had with the printers very efficiently. A big plus was that, unlike the original 1980’s book, both Winneboujou Chronicles have assigned ISBN and Library of Congress numbers. Shawn took care of all those pesky details. Although we don’t intend to sell the books to the general public, we know that that is an option if we change our minds. 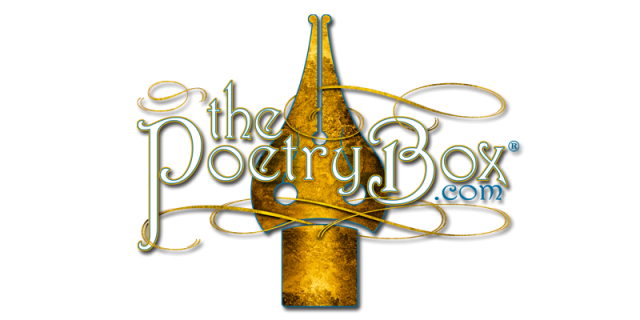 I have recommended Poetry Box to others and will continue to sing their praises. Shawn and Robert are both talented artists committed to helping others bring their work to life on the printed page.